Cameron Dental Care can provide crowns, veneers and implants. After a thorough examination your dentist will discuss the best solutions so you can choose what is right for you. Please contact us if you have any questions or would like to make an appointment. A crown is a cap that is placed over your tooth to improve its strength, lifespan and appearance. Crowns are normally tooth-coloured porcelain and are sometimes strengthened by a metal layer underneath that you can’t see. 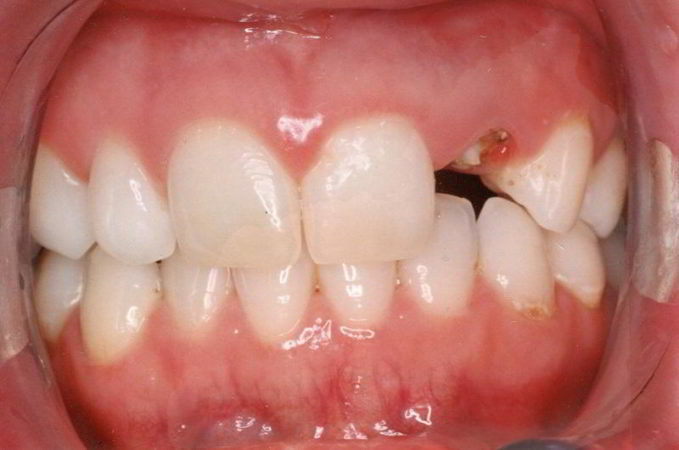 Crowns are placed on teeth weakened by big fillings or cracks. They are also often placed after root canal treatment, where it is likely that the tooth will break without this protection. Sometimes crowns are the best option for aesthetic improvement. To place a crown, the dentist has to first prepare your tooth to the correct shape. After this, we take an impression of the tooth and send it to our laboratory . Whilst waiting for the crown to come back, a temporary crown is made to ensure you can still smile in the meantime. We then remove the temporary and cement the crown into place. We will only recommend expensive treatments such as crowns when this is the best option for you. If you’re still not sure or have some questions, have a chat with one of the dentists at Cameron Dental Care or watch this informative video by BlueSky Bio! In some cases where a tooth is missing, a good option is to place a dental implant in the jaw. 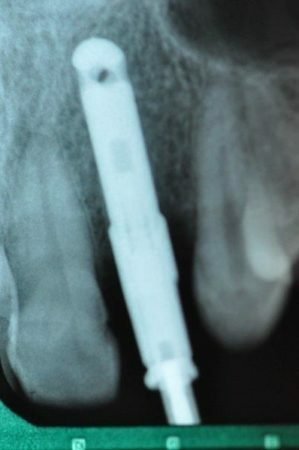 The implant is a titanium screw that takes the place of the missing tooth root. The implant takes a number of weeks to join to the bone. This is called osseo-integration. After this time a crown is made that screws on to the implant. 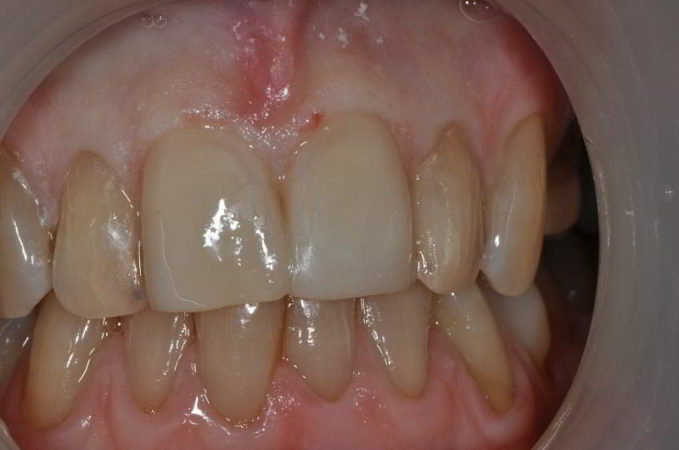 It is difficult to tell the difference between a normal tooth and an implant crown. An implant is a fixed solution to replace a missing tooth; this means that it can’t be taken in and out of your mouth like a denture. An implant looks and functions closest to a natural tooth out of any of the replacement options. Like many other body prostheses implants are made of titanium. They are biocompatible and accepted by the body. Placing an implant requires surgery, which we perform in chair at Cameron Dental Care using local anaesthetic. At the first appointment the dentist will make a gum incision and prepare a site in the bone. 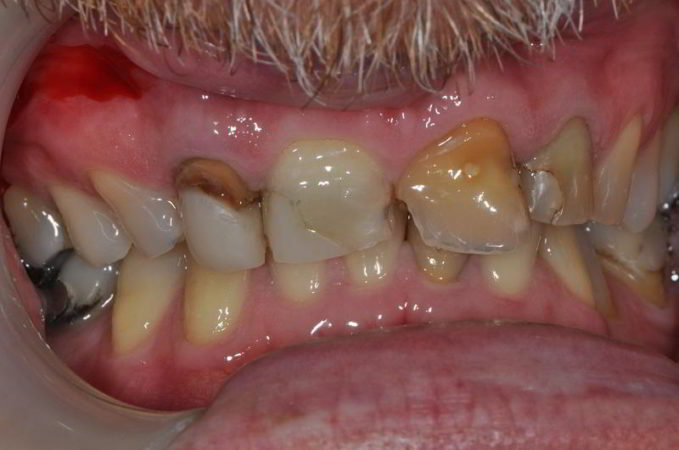 The implant is placed into this site, and the gum is sutured back into place over the top using dissolving sutures. The implant is left to integrate into the bone over the next few months. This means that little pieces of bone grow around and into the implant surface making the implant very stable. During this time a temporary tooth can be provided. 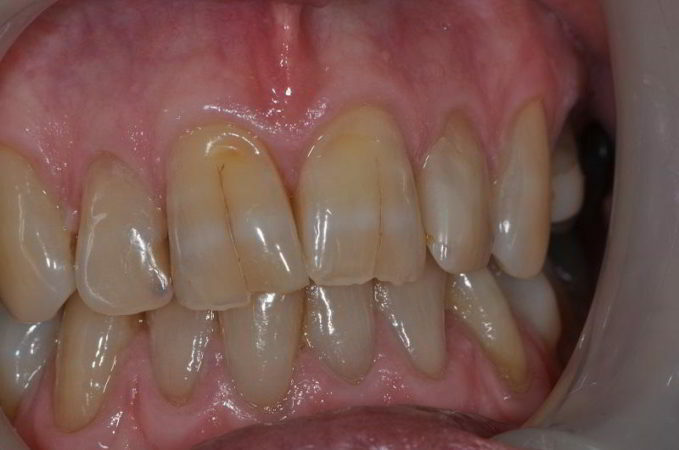 This is often done using an acrylic partial denture. Dental implant placement is a surgical procedure and has a number of risks that will be explained to you .A second opinion shold be obtained before proceeding with treatment. 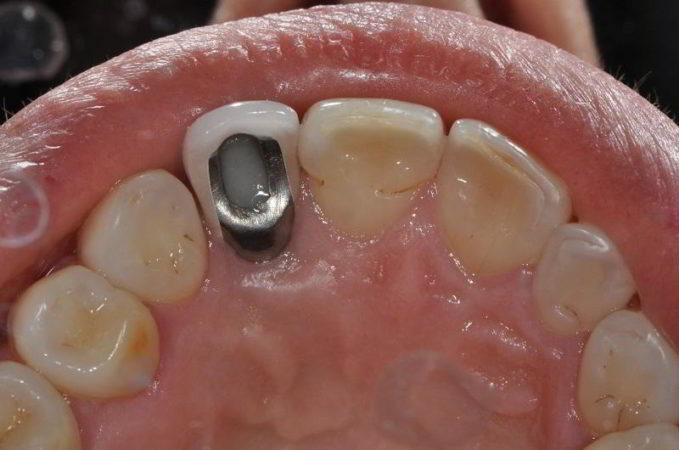 When the implant is ready the dentist will uncover the top of it. 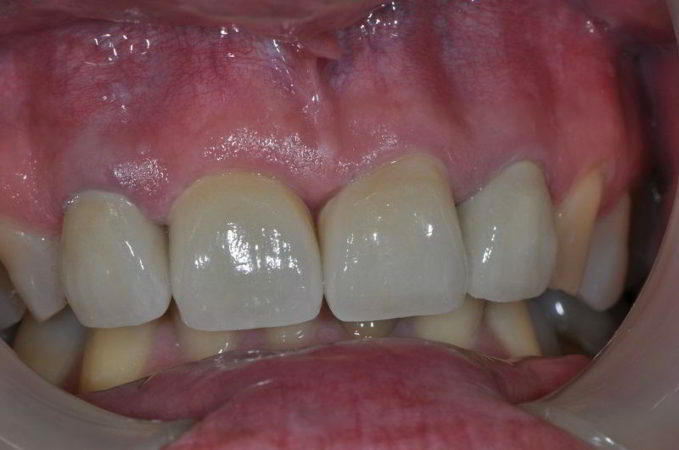 An impression will then be taken so the crown that will screw to the implant can be made. As with a crown, maintaining regular appointments with Cameron Dental Care is crucial after the placement of your implant. If you notice the implant tooth feels loose you must visit the dentist immediately. Although the implant is not a real tooth you still need to care for it as you would a normal tooth. You will notice that you are able to pass floss further up the gum line than with a regular tooth. For a visual aid to help you understand more, check out this video on the implant process by Dr. Shervin & M. Louie. 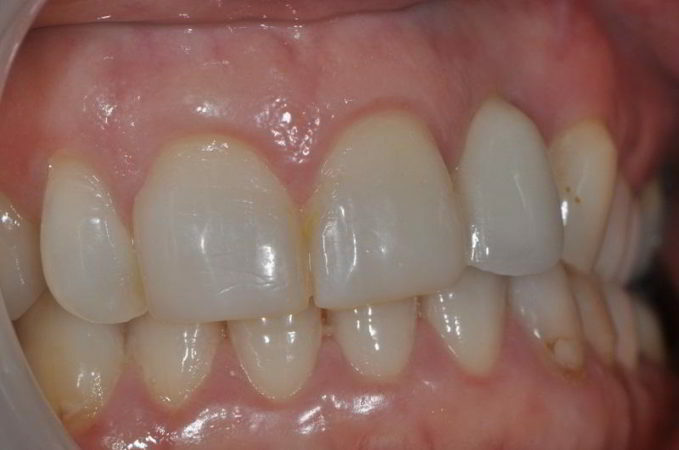 If teeth are stained or discoloured or have chipped and worn away a veneer of tooth coloured material bonded over the front surface is sometimes a good option. There are two kinds of veneers: one is composite resin placed direct chair-side in one appointment with minimal tooth preparation; the other type is porcelain and an impression is taken and sent away to a laboratory for the veneer to be made. Veneers involve less tooth preparation than crowns and are less expensive.